The secret of our great tasting bread is in the quality of our ingredients and technology combined with traditional Italian baking based on authentic recipes that go back 8 generations. 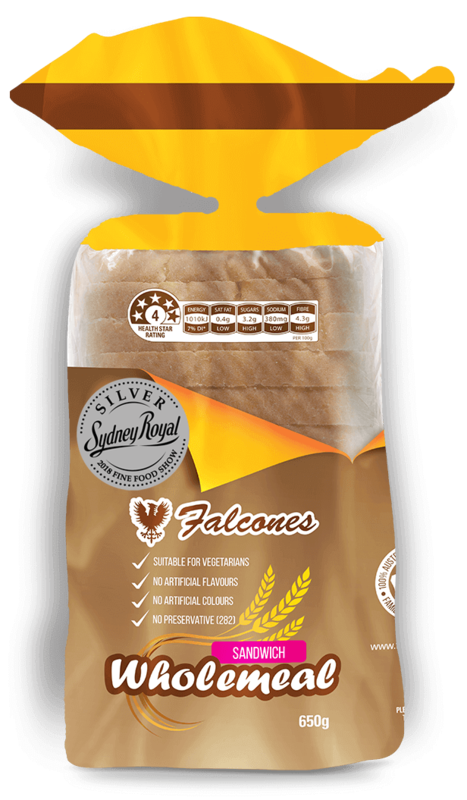 Sydney’s largest family-owned accredited bakery, specialising in Lebanese bread. Our range includes Pogaca, Herb Focaccia. 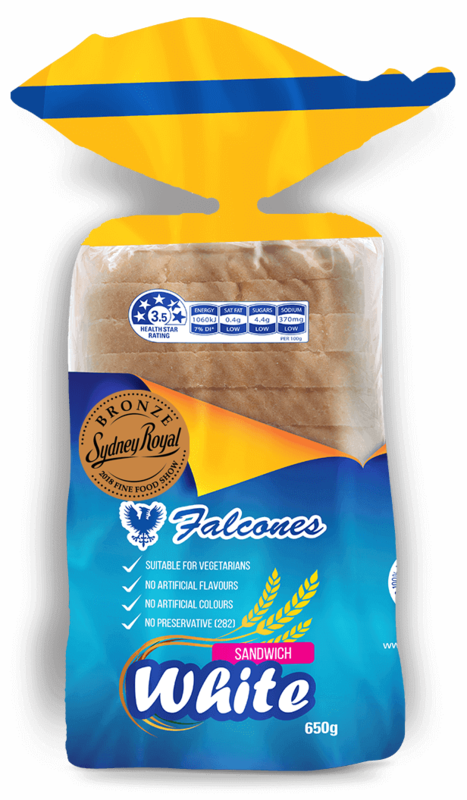 While our other breads’ such as the rolls and Supersoft bread continues to be a family favourite. Hot cross buns fruitless and hot cross mini chocolate winners of the prestigious Sydney Royal Fine Food Show 2018 and 2017 in the Professional bakery category. 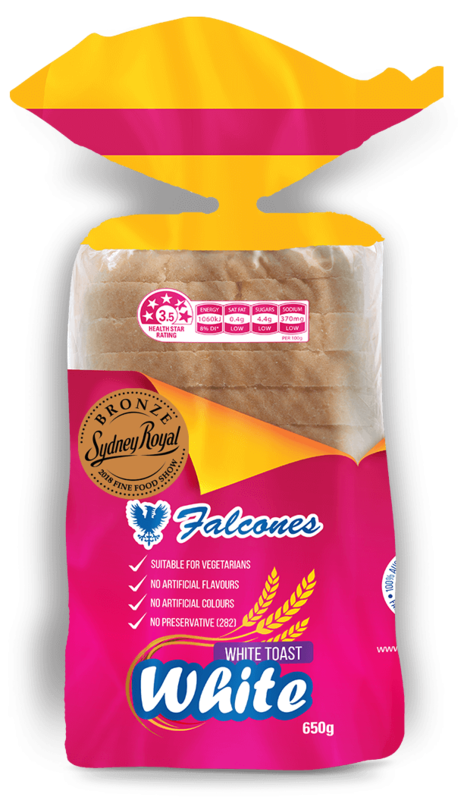 We have a range of delicious bread and healthy wraps made from quality ingredients and baked fresh daily since 1953. Create healthy and easy recipes the whole family will enjoy, from breakfast to dinner including tasty snacks. 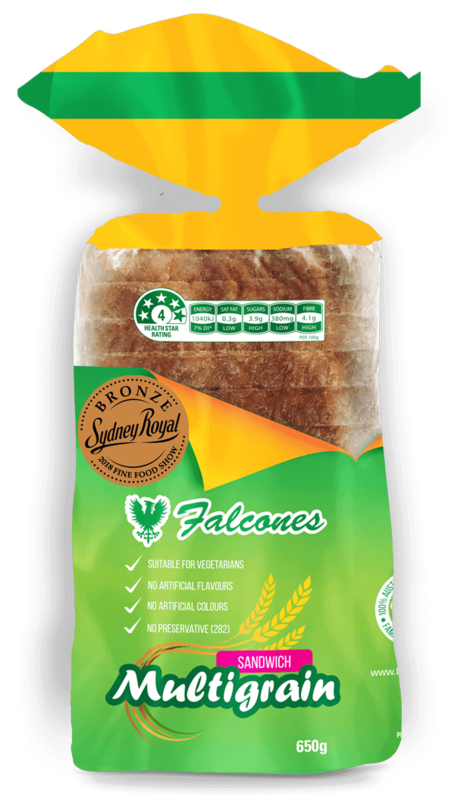 You can find Falcones bread in selected independent supermarkets, fruit markets and convenience stores and cafes throughout greater Sydney, Illawarra, South Coast and Southern Highlands regions and Canberra as well as the Central West, Central Coast and Newcastle.